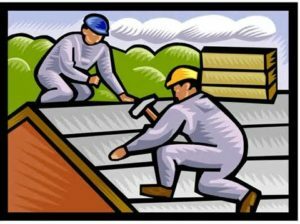 A roof is an integral part of your home; every house is rendered unprotected without a sturdy roof. Luckily, once installed, it has a long life, which means you scarcely have anything to worry about. However, there are quite a few circumstances that can compromise the robustness of your roof. It can be helpful to read about the tell-tale indicators of needing immediate roof repair.. Ventilation plays a key role in durability. Many houses have contractors who have simply reinforced the roofs to evade or even fix storm damage. Adding new layers of material without proper ventilation can lead to trouble, especially as the house ages, which can necessitate reroofing by experts in roofing in San Antonio. Known for having a long life, the average roof will ideally serve you well for over 20 years. So if you have crossed the 15-year mark with your installation, it may be time to give professionals a call so they can come inspect it. They will take into consideration repair history, shingle replacements in the past, and complaints if any issues before suggesting the best course of action. Attempting to prolong a roof’s use and avoiding necessary replacement can lead to bad accidents. Houses that have a smoke outlet on the roof have a cause for concern. In the event that the chimney flashing has grown weather-beaten, homeowners will have to opt for repairs. If a monsoon is approaching, you must make sure that a water-proof material is used. Conventional choices, such as tar and cement, do not bode well in the long term. Although cautious families deem even the smallest of leakages as a sign that they need a roof replacement, calling roofing companies in San Antonio for a just assessment is wise.